Deeds not words. Canadian lead singer and songwriter Dan Scram often gets asked how he came up with the name The Deeds : “The Deeds means actions not words, service without boasting.” This is a mantra he tries to live by in his day-to-day and it is precisely this type of honest approach to life that he also takes to his songwriting. While his band has gone through a few personnel changes and stylistic approaches over the years, Dan feels he’s finally found the soulful roots-rock sound he’s been looking for. With multi-instrumentalist (keys, accordion, woodwinds) Jeremy Rusu (Ron Paley Big Band, Calvin Volrath), lead guitar player Pierre Freynet (The Lenny Chet Breau Band), drummer Brennan Saul (Brasstronaut), and veteran bassist Jordan Gentle on his team, the band chemistry is tangible and Dan’s songs really come to life. A third, live-off-the-floor studio album is currently in the works, set to be released later this year. 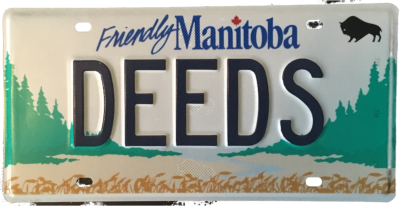 A follow-up tour will have The Deeds leaving their hometown of Winnipeg, Manitoba, and touring western Canada in 2018-2019.